We had told you about saline and silicone implants in our post about the cost of breast implants . Silicone implants are popular among women but the newest generation implants that have seen a lot of favor among women are what are called as “gummy bear breast implants”. They have been nicknamed so because these implants do not lose shape or leak even when they are cut, just like the gummy bear candies. Lets take a look at what exactly are the gummy bear breast implants. How are Gummy Bear Breast Implants different? Gummy Bear breast implants are made of high strength silicone gel. It is a cohesive mass that is strong enough to not get ruptured or to leak, common problems associated with regular silicone gels. 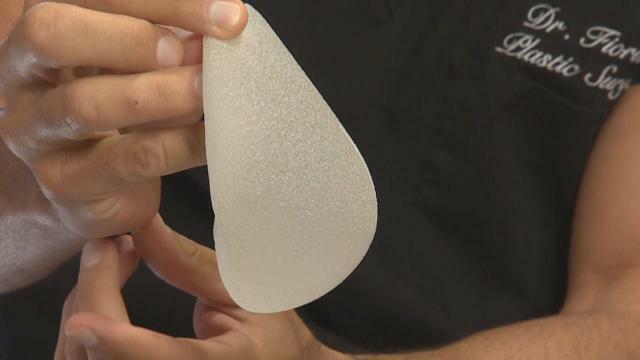 Despite being made of a high strength material, they look more natural when compared to regular silicone breast implants. They can also be molded into many more shapes easily, giving you more opportunity to experiment with the shape of your breasts. Whether you have having breast implants for the first time or a revision surgery, you can go in for gummy bear implants if you are over 22 years of age and are healthy. Since they are of a higher quality and safer, these implants cost roughly about $1000 more than the traditional silicone implants. However, if you look at the bigger picture, you are paying more but also getting implants that will last longer and give you little or no problem, thereby making them cost effective in the long run. Gummy Bear implants are available in oval and round shape. Each shape is available in different sizes. 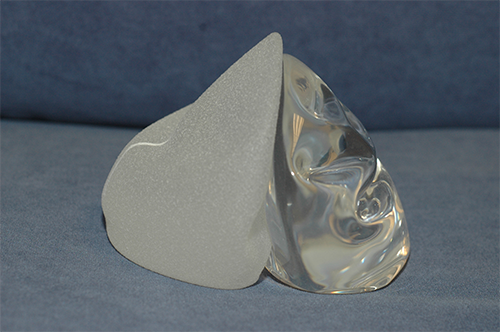 Depending on you requirement, you can choose an implant in the shape and size that you need. They are soft a squishy, yet strong and durable. The surgery is similar to any other breast implant surgery. It is performed under anesthesia. The surgeon makes an incision to create a pocket in your breast and places the implant there to augment your breast. The incision is then secured with stitches. Are Gummy Bear implants safe? They have a funny name, yes, but these implants are as safe as any other breast implants. In fact, they are safer than the rest of the options out there since they do not rupture easily. That prevents the possibility of any infection. These implants have received FDA approval in 2012 and prior to that they have been successfully used in Europe and South America. Other than that, they have the same kind of risks associated with all the plastic surgeries. If you are looking for a successful surgery without any complications, then visit a surgeon who is reputed and board certified. The surgery needs you to limit physical activity for 2-3 days after the surgery. Do not apply any pressure on your sutures and also ensure to take your medicines on time. You would need to wear comfortable clothing and also follow all the guidelines given by your plastic surgeon. Once you take good care of yourself for a couple of days after the surgery, you can be sure that the gummy bears are safely tucked in under your breasts and are doing a great job enhancing your breasts.